Most people will experience damage to the surface (enamel) of their teeth at some point. Teeth become cracked, chipped or discolored due to a large range of causes, from severe trauma to the natural effects of day-to-day wear. When decay or damage to the surface of a tooth becomes significant, often a crown (artificial tooth), is the optimal solution. The natural tooth can be reduced and a custom-made crown bonded or cemented to its surface. Crowns are also often used to anchor bridges - structures that replace missing teeth. When damage to the tooth extends to the foundation (root) of the tooth, a bridge or dental implant may be a better solution. Dr. Harr will discuss your options for restorations with you after an initial examination. Crowns are most commonly made of porcelain or porcelain bonded to metal (usually gold). Crowns are fashioned in a dental laboratory by trained technicians to provide the same strength and appearance as a healthy tooth. With our state-of-the-art Cerec system, in some cases we can manufacture your crown right in our office to be placed the same day. First, Dr. Harr will remove any decay and shape your tooth to receive a crown. The crown must be thick enough to withstand chewing, which means that the natural tooth below the crown must be reduced. Traditionally, Dr. Harr would then take an impression of your tooth and note how you teeth fit together. You would be fitted with a temporary crown while the permanent one is constructed in a dental lab. A second visit would be necessary to place the permanent crown once it was finished. 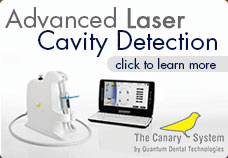 Now with Cerec 3D, an optical 3D image of the tooth surface is taken with a small camera. The restoration is created on a computer screen using this image. Using Computer Aided Manufacture technology, diamond-coated instruments mill a ceramic block to reproduce the design created on the computer. 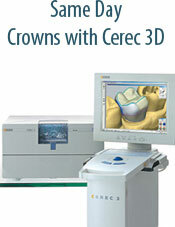 Click here to learn more about Cerec 3d. All of this happens on your single dental visit, replacing the need for temporary crowns and multiple visits. We believe this is ideal for our patients, saving them time and money.